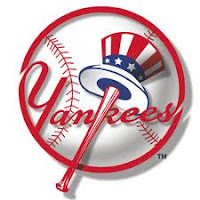 Much has been made of the recommendation from the Commission on Public Integrity and it’s suggestion that outgoing governor David Paterson should pay up to a 93,000 fine for World Series NY Yankee tickets from last year. The issue is whether Mr. Paterson violated ethics laws by having aides solicit the five tickets, with a value of $425 each. The Governor eventually paid for two tickets — those for his son and his son’s friend — and the other aides paid for theirs, but only after media inquiries had been made about their attendance at the game. Of course Paterson’s argument is that he was attending in his ceremonial capacity as governor. But Mr. Paterson played no ceremonial role in the game, like throwing the first pitch. Paterson finds himself raked over the coals, but wait a minute, and let’s think about this. Didn’t former NYC Mayor Rudy Giuliani who was often seen at Yankee games with his son, bleed Yankee Blue. So much so, that the Yankee organization permitted Giuliani to even own championship rings just like the actual players. The answer is yes, by the way. The Village Voice in an article went so far as to question whether Mr. Giuliani as mayor had often been given free use of box seats behind the Yankee on-deck circle. The Giuliani folks said that he paid for his tickets unless he was attending a game in his official capacity as mayor. Giuliani does not deny that he owns Yankee Rings, but states it’s all legitimate. The Village Voice also quoted several people who raised the possibility that Mr. Giuliani may have gotten one of the rings as early as 1997, when he was still mayor, but had not paid for it until years later. In such an instance, under city rules, an official would be required to report the ring as a gift, something Mr. Giuliani did not do. But Giuliani’s office and the candidate himself-he was running for President at the time, denied those assertions. He said he did not get any of the rings until after leaving office. And Mr. Giuliani took exception to the suggestion that he should have paid what a collector might pay. “I own them and I don’t intend to sell them,” he told reporters. As mayor, Giuliani also unsuccessfully pushed for a publicly subsidized new stadium for the Yankees, and his administration spent $71 million on a Staten Island waterfront plan that included a stadium for the Yankees’ minor-league team there. Giuliani did pay for his Yankee rings, about $16,000, according to the organization and that’s what the rings cost the team to purchase. “I paid precisely what anyone else would pay,” Mr. Giuliani said in response to the Village Voice report at the time that explored how he came to possess four commemorative rings identical to those given to players and coaches on its most recent championship teams. The Voice quoted a jeweler who recalled making Mr. Giuliani’s custom-inscribed 1996 ring at the same time he had made the player’s rings, which were awarded in 1997. The Yankees said Mr. Giuliani had purchased that ring in 2004, but that the team did not have records showing when Mr. Giuliani had actually received it. Rudy Giuliani did a solid job in cleaning up NYC, he proved the city could be governed, but come on folks, we have to have one set of rules. Giuliani was practically part of the Yankee organization, even as Mayor, but Paterson, who attended one game is looking at a fine of 93,000 and a public relations nightmare. As it relates to this situation, "Something's rotten in denmark," as the saying goes.